Pépinières de la Bambouseraie news. 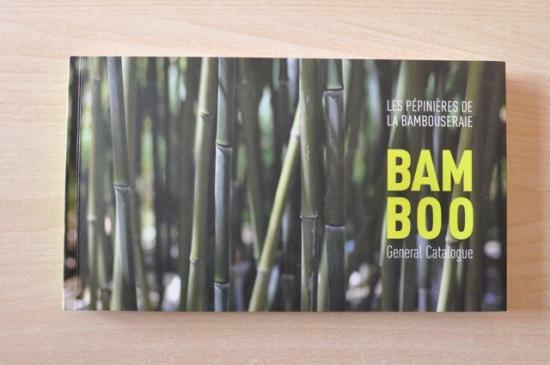 This book edited by Â« Les PÃ©pinÃ¨res de la Bambouseraie Â» will help you to easily choose those bamboos which are best suited for your garden. Since 1855, La Bambouseraie dâ€™Anduze, a unique botanical park in Southern France, has cultivated the largest range of bamboos adapted for western Europe. Their numerous years of experience has resulted in a rich and varied collection in terms of size, colour, cold resistance and behaviour. Choosing your bamboo will become childâ€™s play ! !